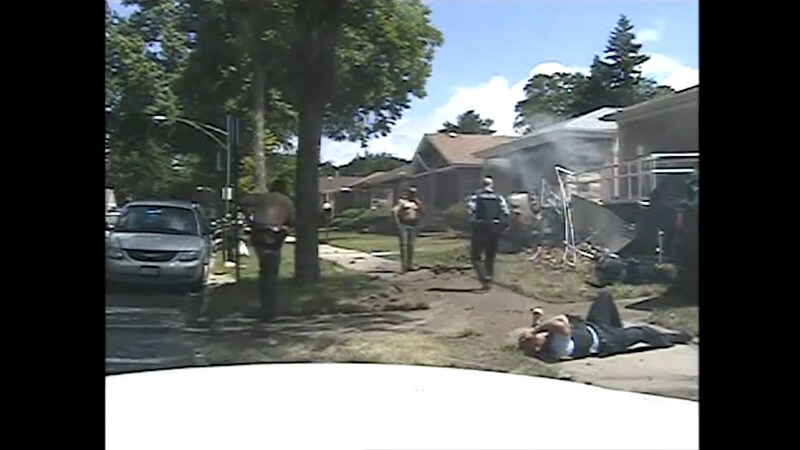 Chicago, IL, 1 July, 2016 – The family of one of two robbery suspects killed when police collided with their fleeing car in July has filed a lawsuit against a Chicago police officer they say recklessly caused the man’s death. Ronald Arrington, 22, and Jimmy Malone, 26, died after leading state and city police on a high-speed chase that began with a robbery at an Arby’s in Tinley Park and ended with a Far South Side crash in a block of homes in Chicago’s West Pullman neighborhood. Two police officers and two others in the suspects’ car also were injured in the July 1 crash. Ewing was driving an unmarked SUV that collided with the suspects’ gold Grand Prix near 124th Street and Union Avenue while responding to the chase. Ewing “engaged in willful and wanton negligence by speeding in a residential neighborhood, pursuing the car over an extended distance and time, creating an increased risk of danger to the public and passengers in the gold Grand Prix,” the suit contends.